Hiring the right roofing contractor can save you time, headaches, and money. Working with someone you trust is important during the process, and it also helps give you the piece of mind that the roof you received is the best possible. There are a lot of roofing contractors in Charlotte, NC, so make sure you do the research beforehand, so you are happy with the person and product you receive. Ask friends and family. There is no better way to find a roofing contractor you like than to ask people you trust for a referral of someone they trust. Word of mouth is the best advertising. Contact local organizations or associations. Many local associations can provide you with a list of roofing contractors whose work meets a very high standard. At Race City Roofing, we are members of the BBB and Chamber of Commerce, and are an Owens Corning preferred contractor and GAF ELK certified weather stopper roofing contractor. Check for licenses and insurance. 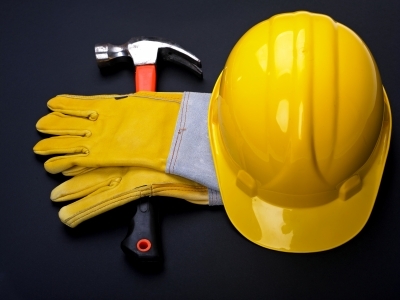 Make sure that whoever you hire has proof of liability insurance and workers’ comp. You also want to make sure that they are licensed through your state to work on your specific roof. Ask for the details. Ask how many people will be working on your roof, what hours they expect to be working during the day, and when they expect to be finished. You’ll want to know what the roofing contractor is planning so you can schedule yourself accordingly. Compare and Compete. Once you have found a few roofing contractors that meet the bill in every other way, you can begin to compare prices and ask them if they can compete with other prices you have been quoted. In the end, you are trying to get the most for your money so don’t automatically choose the cheapest price, as that can indicate low-quality work and materials. At Race City Roofing, we guarantee that our roofing contractors are trustworthy and capable and will give you the roof you want and the roof you paid for. Consider us when looking for a roofing contractor for your Charlotte, NC house. If you are looking for the best roofing replacement warranty in the Lake Norman area, contact us at Race City Roofing. We even offer 24-hour emergency service! Charlotte, Mooresville, Cornelius, Huntersville, Denver, Troutman, Statesville, Lake Norman and the surrounding areas in North Carolina.